Have you ever thought about working at a start-up company as your first job out of college? While in some ways they can be risky, they can also provide incredible learning experiences, and are often hiring. 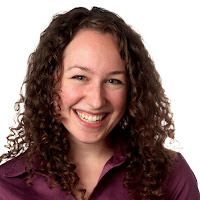 I recently talked with Annie Favreau, Managing Editor for Inside Jobs, about her first job working for this student-focused start up. Annie started college at Seattle University in 2006. “I grew up doing theater and dance, but when I got to college I knew I didn’t want to do that as a career." "I thought about what I loved to do. I loved reading books, but not a lot of jobs allow you to just read books." So Annie thought maybe she could be a book reviewer. 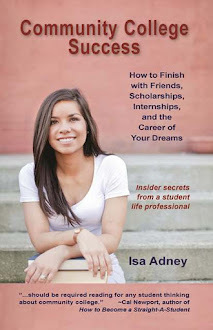 "I started looking into writing careers and applied for an internship with a magazine. I didn't have much writing experience, and there was this voice in my head that said I wasn't qualified. But I’m so glad I didn’t listen to it - I got the internship! Annie got the internship and contributed articles and blog pieces on theater, dance, and fashion for Seattle Metropolitan Magazine. "I was a French major and everyone else was a journalism major. I think they were interested in me because I wasn’t coming from this very traditional background. It taught me that you don’t have to worry so much if you don’t have everything you think employers are looking for, because sometimes you just don’t know what they’re looking for." Annie loved working for the magazine but realized it wasn't exactly what she wanted to do. As the internship came to a close, Annie started exploring other options: "I started talking to everyone I knew, even some people I didn’t know." This is an important strategy. Through her many conversations, an opportunity began to surface:"An editor gave me the name of this guy named Todd Edebohls who was running a start-up company called Inside Jobs. I didn’t know anything about it, just that it was about finding your career. But the idea of helping people figure out their careers really grabbed my attention, because I was trying to figure out mine. So I sent out my resume." In July 2011 Annie was brought on as an Outreach Coordinator for Inside Jobs, working with social media and building relationships. "I know I was extremely lucky, being in the right place and the right time." Preparation of course, is also key. But Annie reminds us that who you know, and how much outreach you do in your own personal career will have a huge impact on your job opportunities. What advice do you have for students looking to find a job in a start-up company? "Start-ups are actively looking for people a lot of the time, as they are trying to grow and develop out. There's often a lot of hiring going on. Try and tap into any online start-up communities; some have their own email lists with job opportunities." "Another way to hear about new start-ups is to read the newspaper and watch the local news. When start-ups are founded they often get local press coverage." YouTern.com is also a great place to find internships at start-up companies. Getting a job at a start-up can sometimes be a big risk; what advice do you have for knowing if the job will be able to pay the bills? "This can definitely be hard because when you go to the start-up website it can be difficult to vet. Start-ups are are really about the people who work at them. I like to research who is actually leading this whole project. Look at their LinkedIn profile, their own website. See if the people in charge have a good track record. That will be more telling than anything else." The founder of Inside Jobs Todd Edebohls was previously the Business Development Director of Amazon.com for eight years and an Ivy-League grad. Annie did her homework. Annie also says a good culture-fit in a start-up is important: "Because start-ups are so small, its important to ask yourself – do I fit in? Because you will be working really closely with your whole team." Today, Annie is the Managing Editor for Inside Jobs: “I’m in charge of a team of writers who produce content for the website. For example, all of the job descriptions come from my group." 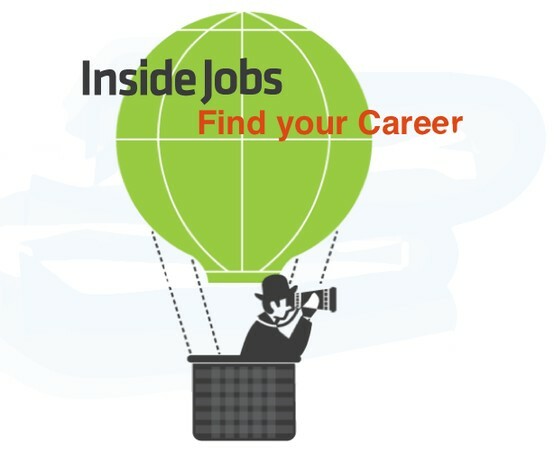 I'm a huge personal fan of InsideJobs.com. They have over 15,000 job profiles with job descriptions, videos, colleges nearby with corresponding majors, and the best personality traits for each position. I really love their "Explore Jobs For" categories (on the left-hand column of the homepage). Categories range from "Law and Order Fans" to "Social Media Ninjas." I love it. Great article - I really like the emphasis on "talking with everyone". Networking is so important to finding jobs - so many job seekers just send a resume and sit back and wait for the phone to ring. Job searching is not fishing. Start-ups are indeed a fantastic place to get hired and gain a ton of experience, fast! One has to be more proactive though, to get hired at a start-up. Because of the nature of the typical start-up, they don't have a lot of revenue yet - which trickles down to the advertising and hiring budget. So you won't hear about all the start-up positions that are really out there, waiting for you. You have to go find them. Keep up the good work, Isa!